Just as economic development depends on a strong manufacturing sector, sustainable development depends on green manufacturing. You’ve probably heard the term in the industrial press, or even the mainstream news. But what exactly do we mean by green manufacturing? The creation of manufactured products that use processes that are non-polluting, conserve energy and natural resources, and are economically sound and safe for employees, communities, and consumers. In short, green manufacturing entails efforts to reduce waste, limit energy use, and omit pollution from the industry. The environmental benefits are clear, but cleaning up manufacturing processes can also give companies a competitive edge. Here’s what we mean. In order to be considered truly sustainable, manufacturing operations must consider a triple bottom line, analysing processes in terms of economic, social, and environmental sustainability. When you apply this triple-bottom-line approach to the industry, it seems that “greening” your operation would only drive success in the environmental category of preferred outcomes. In fact, cleaner manufacturing also impacts social and economic bottom lines. Positive branding and better customer relationships. Compliance with federal environmental regulations and avoidance of associated fines and fees. Capturing residual value of waste materials through reuse and recycling. 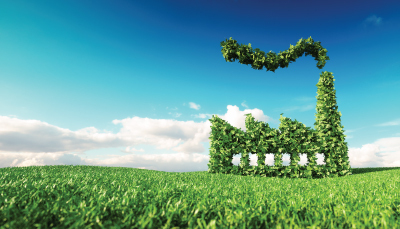 Green manufacturing can even reduce production times, reducing the overall cost of the product. Why bother with green manufacturing? For the best reason in business: The market demands it. “Introduction to Sustainable Manufacturing.” Trade. International Trade Administration, U.S. Department of Commerce, 6 Dec. 2011. PPTX. 12 Mar. 2019. Paul, I.D., G.P. Bhole and J.R. Chaudhari. “A Review on Green Manufacturing: Its Importance, Methodology, and Application.” ScienceDirect. Procedia Materials Science, 2014. PDF. 12 Mar. 2019. Silberglitt, Richard et al. “The Global Technology Revolution China, In-Depth Analyses: Emerging Technology Opportunities for the Tianjin Binhai New Area (TBNA) and the Tianjin Economic-Technological Development Area (TEDA).” JStor. Rand Corporation, 2009. Web. 12 Mar. 2019.